Section 2: Relationship to PCA. 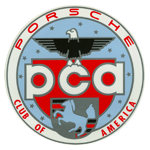 The national Porsche Club of America ("PCA") has chartered the Club as an authorized region. The Club is related to PCA as described in the PCA bylaws. The Club is an independent corporation. b: To bring together owners and enthusiasts of Porsche automobiles for the purpose of exchanging information, recreational activities and other lawful purposes. d: The maintenance of the highest standards of operation and performance of the marquee of sharing and exchanging technical and mechanical information. e: The establishment and maintenance of mutually beneficial relationship with the Porsche Works, Porsche dealers and other service sources to the end that the marquee shall prosper and continue to enjoy its unique leadership and position in sports car annals. 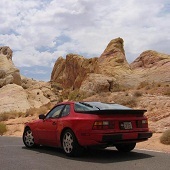 f: The interchange of ideas and suggestions with other Porsche Club of America regions throughout the world to the extent that such cooperation as may be desirable. g: The establishment of such mutually cooperative relationship with other sports car clubs as may be desirable. 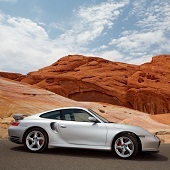 h: To sponsor educational events concerning Porsche automobiles and the safe operation of Porsche vehicles. The Club shall be empowered to do all things and conduct all business not for profit, necessary to carry out the general objectives of the Club as set forth in the Certificate of Incorporation, issued under the statutes of the State of Nevada and in these Bylaws. Section 2 - Corporate Seal, The Las Vegas Region Corporate Seal shall be maintained by the Treasurer, or by such other entity as designated by the Executive Board from time to time. The Club Emblem shall be as shown in Exhibit A attached. a: Membership requirements for the Club shall be the same as those required for membership in the PCA National Club. b: Membership must be in good standing with the National Club. 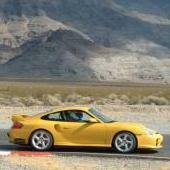 a: Active -- Any owner or co-owner of a Porsche, acceptable to the Executive Board, who is 18 years of age or older, having paid such National and Regional Club dues and fees as required, and may include one other person, 18 years of age or older, named by the Active member at the time of joining or at any renewal of membership, as either a Family member or an Affiliate member. b: Family Active Member -- A member of the Active member's immediate family (wife, husband, brother, sister, son, daughter, mother or father), who is 18 years of age or older, named by the Active member at the time of joining or at any renewal of membership, whether otherwise qualified for active membership by ownership of a Porsche or not. c: Affiliate -- A person 18 years of age or older named by the Active member at the time of joining or at any renewal of membership in lieu of a Family member. d: Associate -- Any Active member who ceases to own or co-own a Porsche while in good standing, having paid Club dues and fees as required. e: Honorary --Any person who, on the affirmative vote of three-fourths of the Executive Board is deemed to merit recognition for outstanding interest in or service to the Club. Such membership shall be limited to one year, but may, upon the affirmative vote of three-fourths of the Executive Board, be renewed. f. Life Member – Any person who, on the affirmative vote of the Executive Board, is deemed to have performed such extraordinary service to the Club as to warrant this singular honor. A life member shall be considered as an active member and may name a family member. Applications for membership shall be made upon such forms as prescribed by the National Club, and shall be accompanied by payment of appropriate dues, fees and assessments or evidence of payment thereof received from PCA. The Club retains the exclusive right to accept or reject any person, organization or any member, of National or other PCA club or any Club membership class, without justification or cause. Dues are set by PCA and include an amount returnable to the Las Vegas Region. Fees and assessments by the Las Vegas Region shall be established by the Executive Board as necessary. a: Active Members, including Family Active Members and Life Members, in good standing shall be entitled to all the privileges of the Club. They will be allowed to vote and hold any office or Executive Board Position. 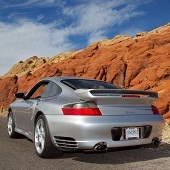 Privileges for National Porsche Club of America will follow all National Bylaws. b: Affiliate, Associate, and Honorary in good standing shall be entitled to all the privileges of the Club, with the exceptions of voting and holding an elective office in the Club. 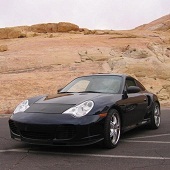 Privileges for National Porsche Club of America will follow all National Club Bylaws. c: Active Members and Family Active Members are entitled to vote in Executive Board elections. Affiliate Members, Associate Members, Honorary Members, and Life members shall not be entitled to vote in Executive Board elections or hold elective office. Ballots for Club elections will be provided to eligible members only. Any member may be suspended by a simple majority vote of a quorum of the Active Members of the Club in accordance with its Bylaws, for infractions of Club rules or regulations or for action inimical to the general objectives or best interests of the Club. Upon written notice of such suspension, the suspended member shall be afforded a reasonable opportunity to be heard, in person or through a representative, by the Executive Board or a committee appointed by it for the purpose, concerning the alleged misconduct. The Executive Board may thereafter continue the suspension for a definite time, terminate the suspension, or expel the member from attending regional events, and its decision shall be final. a. Resignation, submitted in writing to the Secretary of the Club, which shall become effective upon receipt, with forfeit of all dues paid to date and all privileges. b: Expulsion for failure to pay annual dues. c. Transfer to another Region within jurisdiction of the National Club, if no longer residing within the Las Vegas Region. No officer or member of this Club shall be personally liable for any of its debts, obligations or acts, unless a member of the Club acts in an illegal or unethical manner to incur an obligation or indebtedness in the name of the Club, or to take and/or use Club funds, including receipts from an event, for nefarious or personal purposes or for personal enrichment. The elected officers of the Club shall be President, Vice-President, Secretary, Treasurer, and three Directors. These officers comprise the Executive Board. The elected officers shall be Active or Family Active Members of the Club and in good standing with PCA. No member may hold more than one elected office at a time. The term of office for elected members of the Executive Board shall be one calendar year. The term limit for each elective officer is three (3) consecutive terms; the term limit for elected Directors shall be three years. The exception to this rule is that, upon the first election of elected Directors, one elected Director shall have a term limit of 1-year, one elected Director shall have a term limit of 2-years, and one elected Director shall have a term limit of 3-years. A period of one term must elapse before a President may hold office as President again. The Executive Board may waive term limits if it is deemed necessary to maintain continuous executive management of the Club. The immediate Past President shall serve on the Executive Board following their term in office until such time as there is a more recent Immediate Past President. a. Election of Club Officers shall take place following the creation of a vacancy in one or more Executive Board positions. Election shall be by vote of a majority of at least a quorum of the voting members of the Club. A quorum shall be defined as the same as the quorum for a special meeting or annual General Membership meeting of the membership (see Article X Section 3). b. Nomination of candidates for Officers and elected Directors shall be the responsibility of the Nominating Committee. c. Notification of any election shall be by the procedures given in Article IX. d. Receiving and counting of ballots shall be the responsibility of the Nominating Committee. The Executive Board shall be responsible for the proper conduct of the administrative affairs of the Club, the proper functioning of appointed committees, and shall ensure compliance with these Bylaws. All decisions of the Executive Board shall be by majority vote, with at least five (5) members of the Executive Board voting. Committee and Activity Chairs appointed or approved by the Executive Board shall participate in meetings of the Executive Board, and provide pertinent information, reports, and advice as may be appropriate. Such Committee and Activity Chairs shall be considered members of the Club Board, but not of the Executive Board, and do not have voting privileges on the Executive Board. These positions may include but are not limited to: Membership Chairman, Activities Chairman, Technical/Safety Chairman, Publications Chairman, Nominating Committee Chairman, and Driver Education Chairman. The responsibilities and terms of the appointed Chairs will be as set forth by the Executive Board and as detailed in Article VIII. Any Committee or Event Chair, and any Active or Family member, may, if elected, serve as an Elected Director. Club Active or Family members may be granted recognition for contributions to the Club, as determined by the Executive Board, by being named Board Members at Large. A Board Member at Large shall participate in Executive Board meetings and provide pertinent information, reports, and advice as may be appropriate. A Board Member at Large is not a member of the Executive Board, and do not have voting privileges on the Executive Board. Any Board Member at Large, and any Active or Family member may, if elected, serve as an Elected Director. c: To be an authorized signer on all bank accounts of the Club and to review the Club accounts periodically and to review all disbursements at least annually by initialing the check stubs. To participate in all decisions which cause the Club to become indebted in an amount in excess of $1,000. d: To inform the membership of the Club's policies and decisions reached by the Executive Board. c. To coordinate PCA activities with other car clubs and/or organizations. d. To be an authorized signer on all bank accounts of the Club. c. To furnish all financial report and/or books and statements for audit on request by the Executive Board. b. To cause to be published in the Club's official publication notices of all meetings related to the Club's official matters. a. To participate in Executive Board meetings and provide such information and advice as may be appropriate. b. To vote on matters voted upon by the Executive Board. a. A vacancy on the Executive Board shall be deemed to exist in the case of death, resignation, removal, or disqualification of any member of the Executive Board or if any member of the Executive Board is absent for three (3) successive meetings. b. When in the opinion of a majority of the Executive Board, for circumstances beyond the control of an Executive Board member, the Executive Board may waive this restriction if in its majority opinion it would be detrimental to the goals of the Club to vacate said Executive Board position for infraction or the foregoing rule. Invoking of this clause shall be the exception rather than the rule. In the event the office of President is vacated, the Vice-President will assume the duties and responsibilities of President for the remainder of his term of office. The Executive Board will then fill the position of Vice-President. Vacancies so occurring shall be filled by election by the Executive Board at its next meeting for the balance of the unexpired term. c. Using social media for advertising and reporting of Club events. d. Ensuring that Las Vegas Region additions, via new memberships or transfers in, are added to the mailing list of the Newsletter and other appropriate communications. a: Preparing and publishing the Club's Newsletter and other email notifications of coming events, meetings and activities and other information of interest to or of use by the Club members. This email notification shall be compiled and distributed once per month and may be distributed more frequently as deemed productive by the committee. Information to be distributed shall be obtained from the Executive Board, Event & Activities Chairs, and other sources as appropriate. b: Nothing shall require nor prohibit the physical printing and distribution of any newsletter, notices or other communications by the Publication & Publicity committee for the benefit of the Club. c: Contacting other media for publicity on events open to the public. c. Monitoring the safety aspects of Autocrosses, Time Trials, Driver Education events, and other such events as deemed appropriate by the Executive Board, and reporting any safety deficiencies to the Event Chairman. In the event of a dispute regarding a safety deficiency between the Technical/Safety Chairman and the Event Chairman, the Technical/Safety Chairman's recommendation will be honored. The Nominating Committee shall be appointed by the Executive Board for each election, and shall consist of at least three (3) Active or Family members, and shall include the Membership Chairman. e. Receiving all ballots, counting in accordance with prescribed articles of the Club Bylaws, and presenting to the Secretary for publication the results thereof; keeping all ballots for inspection for a period of thirty (30) days after the results are announced. b. Compiling and arranging the competition rules under which events are conducted. Special Committees may be appointed at any time by the Executive Board for a special purpose, and discharged from further service when their report on the special duty to which they were assigned is accepted. There is no limitation as to the number of committees or committee members. a. A breakdown of costs for the event and persons or agencies to whom money was expended or owed. b. A breakdown of monies taken in for an event with net profit or loss indicated. d. The above reports will be filed with the Club Secretary who will retain them for a period of two (2) years for the use of future Event Chairmen. After a period of two (2) years has elapsed from the date of the event, the Club Secretary will turn the reports over to the Club Historian who will maintain the reports in the Club historical file for reference. The Club web site and the September issues of the Club newsletter will include a solicitation for Executive Board nominations. Nominations for election to the open offices must be received by October 1st. The names of all prospective candidates will be submitted to the Secretary. a: The voting ballot version, whether electronic or printed, will be determined be the Executive Board. Ballots shall be distributed by November 1 of each calendar year in which an election is to be held, listing nominees for offices for the following calendar year. Ballots shall be received until November 30. Ballots received will be accepted, providing the voting individual is a member, eligible to vote, in good standing as listed on the Club roster provided by the PCA National Secretary. b: Ballots will be counted and election results announced at the last Executive Board meeting of the calendar year. Results will be published in the Club newsletter and on the Club website as soon as possible after the meeting. a. It is the intent of the Club to hold at least one non-driving event each month, open to all members, which then shall qualify as a meeting. The Executive Board is authorized to add additional non-driving and/or driving events as desired and practical or to skip one or more monthly meetings if, in their opinion, a meeting is not practical. In any event, the Club shall have four General Membership meetings each year. The first Club Breakfast of each calendar quarter shall be designated, and advertised in the Club Newsletter, as a General Membership meeting. b. It is the intent of the Club to have a meeting of Executive Board Members including committee and activity chairs and Board Members at Large as appointed or approved by Executive Board members monthly. The Board meeting shall be open to all members of the Club, and shall be noted as such. In the event that the monthly Board Meeting is not practical due to event scheduling conflicts or the ability to assemble a quorum, the Executive Board my cancel or postpone any monthly meeting. Special meetings of the Club members may be called by the President or by any five Executive Board members. a. At any monthly meeting of the Executive Board, a quorum shall consist of at least a majority of Board members. A majority is defined, in the event there is an even number of Executive Board members, as half of the Executive Board members plus one, or in the event of an odd number of Executive Board members, a majority shall consist of a simple majority of Executive Board members. A notice stating the time, date, place and purpose of any meeting (non-driving event) shall be distributed by the Executive Board by use of the Club Newsletter, membership email system, by notice on the Club website, or by US Mail, as much in advance of the meeting as practical. Only the Executive Board, by a majority vote, with at least five (5) Executive Board members present and voting, may incur an obligation in excess of one thousand dollars ($1,000). No elected officer or any person authorized to act on behalf of the Club shall incur any obligation or indebtedness in the name of the Club which is not for the general benefit of the entire membership of the Club, nor shall the Executive Board approve the incurring of any such obligation or indebtedness. The incurring of any obligation or indebtedness in the name of the Club by any elected officer or member in contravention of these Bylaws shall be an ultra vires act. The person or persons responsible for such act or acts shall be personally responsible, individually and collectively, to the Club in an amount equal to the obligation or indebtedness in which the Club may be required to pay. Three (3) elected officers, President, Vice-President and Treasurer, will be authorized to sign checks for obligations of the Club. Anyone of these individuals, acting alone, may sign such checks, except that for Club checks in an amount exceeding one thousand dollars ($1000.00) two signatures shall be required. The proportion of any Zone 8 assessment paid by the Las Vegas Region may not exceed the total membership Zone 8 assessment amount multiplied by the ratio of the Las Vegas Region membership to the entire Zone 8 membership, as determined by the membership records of December 31st prior to the assessment date, without approval of a majority of the Las Vegas Region membership. Upon recommendation by not less than four (4) Executive Board members or by a written petition signed by at least (10) Club members in good standing, the Nominating Committee shall prepare the suggested amendments in such manner that it may be legally incorporated into these Bylaws. A properly prepared amendment to the Bylaws shall be sent by email to each Active or Family member in good standing for comment. If an Active member and Family member have the same email address, a single mailing shall suffice to meet this notification requirement. The Executive Board shall ratify, after consideration of comments, the Bylaws as amended at the next Executive Board meeting no later than 30 days after distribution to the membership for comments. The Secretary shall announce the results of the By-Law amendments in the Club Official Newsletter, email, website, or by other means determined by the Executive Board. 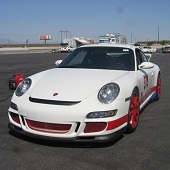 The undersigned, the duly elected Secretary of the Las Vegas Region Porsche Club of America, Inc., certifies that the above and foregoing Bylaws were adopted by the Corporation and have not been amended, revoked, or rescinded and remain in full force and effect as of this first day of January, 2017.